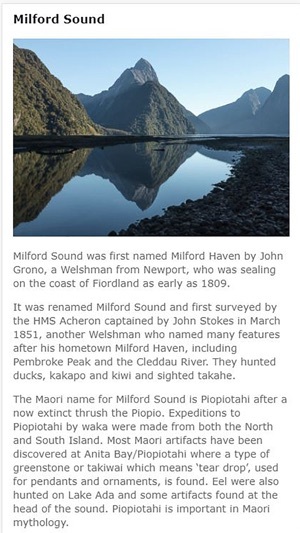 This 100% free guide book covers the Milford Road and Milford Sound, New Zealand. It can be used interactively on the road and on your cruise or it can be read like a book before you leave home. 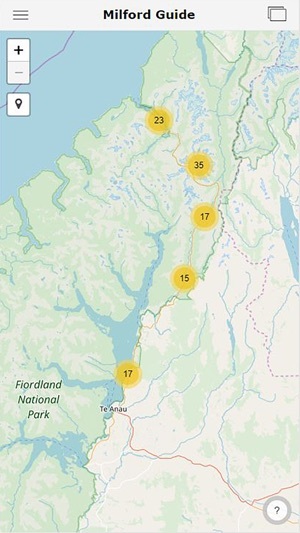 Every possible point of interest, walk, photo location and camping spot is covered, along with history, geography, and other interesting stories. It catalogs every public toilet, just in case. 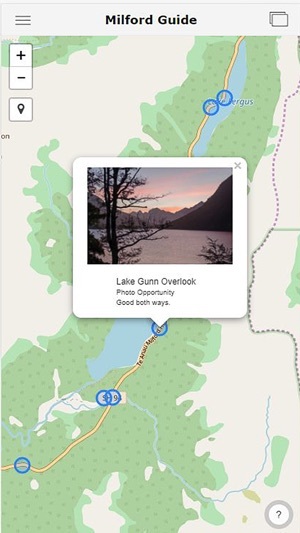 With geolocation enabled it tracks your location on a map and displays your nearest location in the right panel. 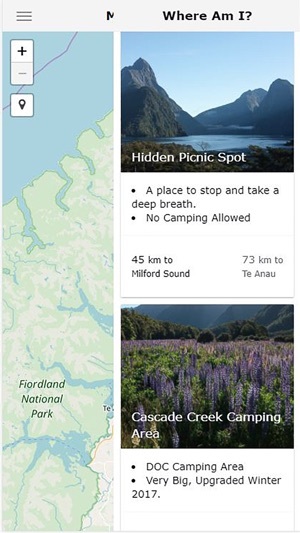 Milford Guide is very easy to navigate and is designed to feel familiar. 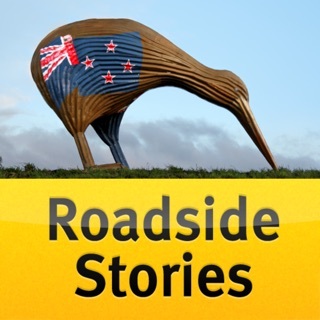 There is no mobile phone coverage anywhere on the Milford Road. 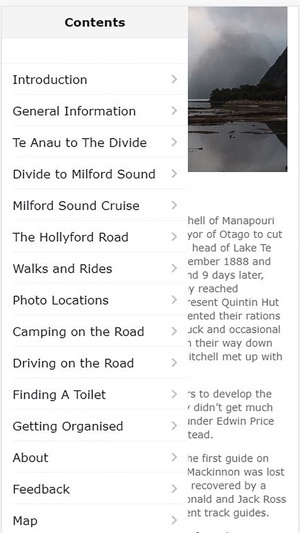 Milford Guide is 100% offline, all external links open in your browser. No data is collected, your location remains completely private. 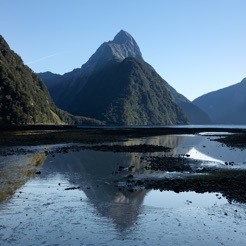 Rich with information, Milford Guide is designed to help you to make the best of your time while you visit a great wonder of the world. The hallelujah it works release! An improved algorithm to serve the right panel when geolocation is active. More templates to save space. A few typos and errors corrected. 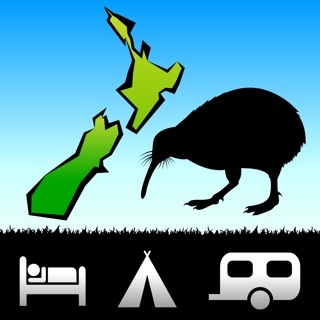 Now the camping information is back. Whew!